Napkin destroyer that can be easily installed and ensure the complete destruction of used sanitary napkin pad with a press button. 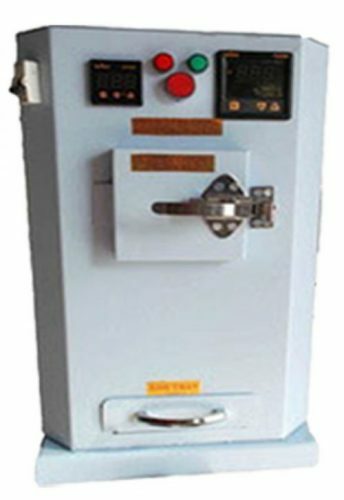 The sanitary napkin Incinerator machine offered by us. It works automatically and very easy to operate and maintain. It is the best solution for destroying sanitary napkin and converting it to sterile ash. This machine very helpful in solving problem of disposing used sanitary napkin pad and will ensure complete protection to the sanitary system of buildings/offices. We manufacturing supreme quality Napkin Incinerator machines that helps to destroy napkins easily. We provide tutorials also for knowing the process of machines. Not only in Combinator, but also we offer machines to all over Tamilnadu and other states like Kerala, Karnataka & Andra Pradesh. Sanitary napkin vending machine that is designed to provide sanitary napkin at any time when you require. This machine works automatically on the insertion of coin, our vending machine can be catered to specification of sanitary napkins of any brands. This machine save the embarrassment of seeking napkins in the peer group or from authorities. We offer machines in different models, prices, sizes and specifications according to client need. Royal Tech Engineering is one of the best Napkin Vending machine manufacturer in Coimbatore. 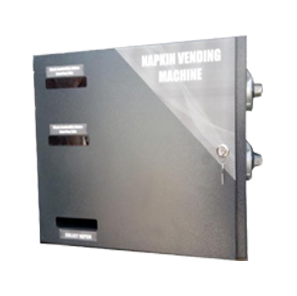 Like Napkin Incinerator machine, we offer Vending machines in all over Coimbatore, Trichy, Chennai, Madurai & Pondicherry. We can do service for other states also. We only using supreme grade materials to manufacturing the machines. That is why people often contact us for Napkin Vending & Disposal machines. Royal Tech Engineering creates quality Napkin Vending, Incinerator machines based on customer needs. Contact Us to Get the Machine in Tamilnadu (Coimbatore, Chennai, Trichy),Kerala & Other states.. Here we make a innovation ,Highest Technology,Lowest price Sanitary napkin vending and destroying machines. Royal tech Engineering is here to provide you more information,answer any questions you may have and create an effective solution for your organisation needs.